When we left off last week we were looking at Clarity which helps players by providing context to their available actions. We finished by looking at Navigation which provides short-term goals to new players to mitigate a lack of experience. We’ll pick up where previously left it by covering Parsimony and Assurance followed by a conclusion which brings all these concepts together. If you missed Part I, read it here. Many of our Approachability axioms assist new players by providing additional resources or mechanics at their disposal. Our axiom of Parsimony deviates from the others by subscribing to simplification which can decrease the overall burden on players. Parsimony is more than just an arbitrary statement like “get rid of the excess stuff” and actually an advocate for addition by subtraction. One of my favorite articles on the subject in the last year was written by Grant Rodiek of Hyperbole Games. In his coverage of the topic he uses an analogy of a cup and with each game design we are asking our players to fill their cup. As game designers we may not wish to admit it but there really is a capacity to how much complexity players wish to take in before their cup is full. It is hard to estimate the maximum volume any individual’s cup may hold but it is a wonderful analogy to keep in mind. The most significant aspect to learning a new game is due to the presence of multiple game mechanisms. For now we’ll talk about the possibility of too many mechanics in a game. Game design can be an exciting outlet of creativity and some of the most successful designs are defined by innovation. 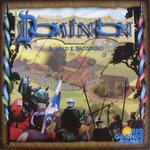 Games like Pandemic and Dominion became highly successful in recent years because they merged a core concept with a few key innovations. Frequently in game design there is a risk of involving too much innovation in a game design. Approachability works most effectively by building on familiar elements in order to introduce unfamiliar ideas in a situation of comfort. Even for experienced gamers, too many new ideas in a game can withdraw that crucial early engagement as they find themselves referencing rulebooks, re-visiting player aids and sorting through cards and tiles. Spending a lengthy period of time constructing a new foundation can eliminate any gains from other methods to introduce approachability. Parsimony can extend into several areas of game design and one of which that affects approachability the most is components. A wide display of different coins, gems, cards and meeples in a game design can make it visibly impressive for an alpha gamer but a downright nightmare to a player without the same initial enthusiasm. Tzolk’in: The Mayan Calendar incorporates a series of gears into a visually impressive game board. The gears may come across as an overproduced component but they also have the ability to streamline the intended mechanics for new players. The system of gears are able to teach unfamiliar players the basics of worker placement and removal. Rather than require players to physically progress numerous pieces, the simplicity of the moving parts also illustrates functionality of the game play. Beginners can foresee the direction of the gears and observe the flow of the game after just a few rotations of the gears. Players also don’t need to perform tedious upkeep phases in order to progress pieces around the board and thus may invest their time to play the game rather than execute the mechanics of the game. We generally interpret resources (or currencies) as tangible items: wooden cubes, cards or gold coins or paper money. We also can include intangible resources such as action points, hit points, mana, taking turns and even capacity when spatial restraints exist. One of the great innovations in cards games such as San Juan and Race for the Galaxy is the usage of cards as a common currency in games. Cards can be used in each game for either their descriptive content or their usage as a resource in order to purchase other cards. Cards are also stored during play to indicate victory points for final scoring. An idea like this is not only clever but it speeds the pace of the game for players who no longer are burdened to remember if they collected their coins during an income phase or produced goods two turns ago. Keeping component costs low for publishing also provides further benefits in the industry. Merging currencies also presents a second benefit to game design when implemented in a different manner. In some games, a core currency such as victory points can be spent on items over the course of the game. Gone are the days of two currencies, one for money and one for victory points. Players must weigh the eventual benefit of items and each investment they make during the game, or avoid it entirely. In Firenze, players collect bricks (primary currency) in various colors in order to construct buildings and earn victory points (culminating currency). Firenze uses these bricks as a core resource which players use to pay for building towers and perform additional actions. It would have been simple for the designer to include a more conventional monetary currency such as gold in order to pay for objects in the game but this would have provided additional complexity while affording players proportionally fewer interesting decisions. The more cards and tiles you have, the more testing is necessary to balance your game. Publishers are looking for ideas that for trim the fat. Remember, even if you have hundreds of great card ideas, you’re ready for eventual expansions. Using a representative scale of resources is also the simplest way to cut down on potential production costs if your game makes it to publication. Allowing one cube of a resource to represent a large quantity of wood or stone carries additional psychological benefits beyond parsimony. Humans can be partial to smaller numbers which allow players to plan quickly and more efficiently while avoiding simple calculation errors. Reducing resource requirements by a common factor is a simple option that may even psychologically encourage players to try new strategies in the game despite no other changes. A smaller scale can make a difficult objective appear easier to achieve. Potentially the area most in need of parsimony is the organization of information in games. When new players learn your game they will hopefully not need to decipher a great deal of information just to get started. Drawing a new card creates a brief period of reading and interpretation which may or may not cause delays to the game. If the player holds the card in their hand for a period of time, they may frequently need to review all their cards before deciding which one to play. When the card is eventually played it can often be followed by “what does that do?” and a delay in game play in order to disseminate the information to the other players. Individually each of these delays are relatively minor but as a whole they do complicate the process of playing the game. The first few plays of the game can be especially problematic as players must invest the initial time to become familiar with the cards. As we will explore further in our next article on the learning curve of games, the solution to this problem generally comes from maintaining brevity in card descriptions and consistent iconography when possible. Our sixth and final axiom of approachability is assurance. This is our axiom that goes beyond “engaging” our audience in order to reassure hesitant players that participating in a game was a good ideas. The first question is the most straightforward; players want to know they are at least attempting to achieve something to derive enjoyment from it. Completing an objective can provide a sense of satisfaction, regardless of the final value of the resulting outcome. We want to avoid discouraging players in the early stages of a long game, so if it takes much of the game to get going, don’t punish players in the early stages. Game design can often come across as creating a problem and asking players to solve it. But players need to have their motivations replenished periodically with intrinsic rewards from the game. For some players the motivation will come from being in the lead or being close to the leader, but for our audience who was initially hesitant, the reward may come in part from just being reminded that they are making strong progress. The “point salad” scoring style featured in games such as Castles of Burgundy, Village and Terra Mystica has elicited criticism in recent years but it does one thing extraordinarily well in that it rewards players for playing the game. While scoring points for nearly everything in a game like Bora Bora may seem no different than waiting until the end of the game to score to some, it provides a psychological benefit that players are indeed making regular progress. The secondary benefit of point salads addresses the previous question as well in that it provides a very early sense of accomplishment that continues throughout the game. What am I looking to get out of this? Assurance can be used to demonstrate more than just how player actions lead to results. One way to assure a player they made a good decision is by appealing to their imagination. This is not a catch-all solution that will work for every player who tries your game design but it can cater successfully to part of your audience depending on their preferences. Curiosity: Tongiaki and Betrayal at the House on the Hill are two games that feature exploration as prominent mechanic in the early phase of the game. Exploration appeals to the curiosity of players and is a natural fit for new players who are already primed to gradually learn new locations and areas of a new game. Tongiaki and Betrayal are two of the best illustrations of exploration as there is great tension surrounding the outcome of the tile reveal, some award great benefits and others present setbacks. Creativity: Dixit and Once Upon A Time are two games that appeal to the social needs of your players. Once Upon A Time in particular deviates from traditional competitive scoring elements in order to provide an outlet for creativity and both games reward players who enjoy thinking outside the box and using all available resources at their disposal. A player averse to the idea of playing new games may enjoy the relaxed rule set and amount of open ended game play. Deception: Liar’s Dice and The Resistance allow players to take on a role they may ordinarily be comfortable with by using deception and bluffing in order to achieve victory. On the other end of the situation, some players will enjoy the role of identifying bluffs and identifying the truth. The assurance of these games is also built into short rounds which lead to exciting reveals. The social element of these games helps to reward players for actions in trustworthiness and those intense revelations of double-crossing. Dexterity: The last example of assurance we’ll take a look at is an entire category of board games in itself. Games like Loopin’ Louie and Pitchcar reduce the burden on players by removing the cognitive complexities and allow players to just play the game without worrying about a poor performance. Some players will prefer doing away with the deep strategic planning and just enjoy the company of others. A game is extremely difficult to teach new players. There is a wide array of options available to players which don’t have an obvious connection. There is a delayed payoff or a large number of turns in order to see the results of player actions. A player’s performance following a game is difficult to analyze and learn from. The goal of approachability is to bring players back for a second game and Clarity has a significant influence in ensuring players understand the game and therefore the motivation in trying it again. There is a large amount of innovation or extremely abstract ideas. The standard flow of game play is unpredictable or difficult to follow. A gateway game presents elevated levels of complexity. Navigation can be a way to reduce the dreaded “first game disaster” which can discourage a new player for both the second half of a game and any future games. It may not bring much benefit to experienced players but it will help your game turn new players into experienced players. A game is highly complex. A game features a considerably longer game length than appears necessary. Generally when “elegance” is used to describe a game it contains a strong adherence to the idea of Parsimony in addition to other design goals. In longer and heavier games, game designers are already expected to trim the fat but parsimony can assist by further reducing the burden on players and allowing the designer to choose what parts of the design should be prioritized in the player experience. A game has a heavy commitment – usually a long playing time or requires an extended rules explanation. A game often gets off to a slow start before reaching its intended experience. A game has abstract victory conditions which can confuse new players. Players need an indication in the early portion of a game that will both confirm their initial motivation of playing and alleviate any concerns about continuing. Join us later this week for our article on how Approachability can support the learning curve in games. We’ll try to help you convert players into enthusiasts. I’m glad you found it Beth! Sorry I didn’t see this in time to help. Thanks for reading! Thanks for the support David! We always hope to write articles that reach game designers at just the right moment in their process and it is always rewarding when we hear from those we’ve reached.